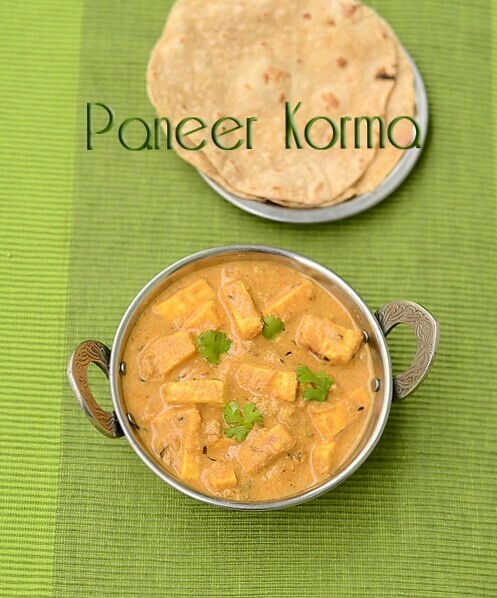 Paneer Korma recipe was in my try list for long time.So I tried it last week for Sendhil & Raksha’s Lunch box as a side dish for roti.Actually I was looking for a paneer korma without coconut.But I found this recipe with curd,cashews & coconut masala in Mughlai style.I found it interesting and prepared it by making small changes in the actual recipe to suit our taste buds.It came out really well with a restaurant touch.This gravy also goes well for Pulao & ghee rice.The most important thing in this korma is that curd should be fresh & not sour at all else it will spoil the taste of this gravy.So friends,if you have fresh curd & paneer in hand,go ahead with this recipe.It tastes yum.Soon I will try to share a paneer masala korma with tomato base.Now lets see how to make this Indian Paneer Korma recipe with coconut . 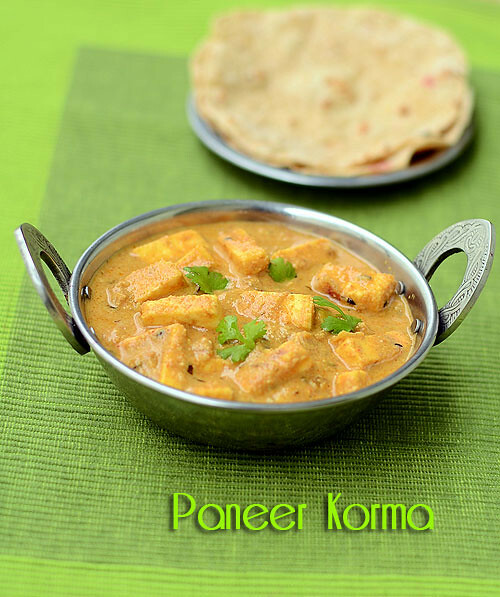 Do check out my North Indian style White Paneer Korma Recipe too ! 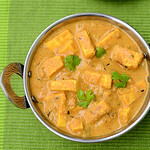 Cut the paneer into small cubes or strips and keep them immersed in hot water till use. Grind all the ingredients given under “ To grind” to a smooth paste. Add water to grind if needed. Set aside. Heat oil in a pan and saute Cinnamon, cloves, bayleaf, cardamom and pepper corns.Add big onions and saute until transparent.Add red chilli powder, turmeric powder, dhania powder, sugar and salt.Mix for few seconds without burning the masala.Now add the ground coconut paste and saute well. Lastly add garam masala powder and mix well. Add 1 cup of water and boil for few minutes.Check for taste. Add more spice powders if needed. 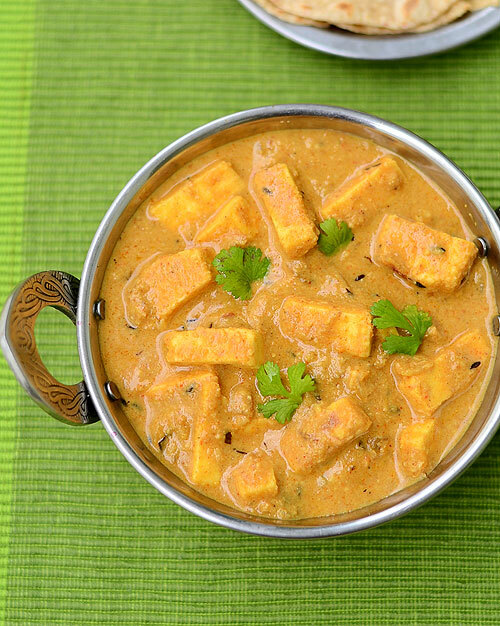 Lastly add the paneer cubes. Crush kasoori methi lightly and add it to the gravy. Switch off the flame and garnish with coriander leaves if you wish. Enjoy with roti and pulao ! Make sure you use fresh curd. It should not be sour.Sour curd makes the gravy tangy and tasteless.So please see to it.